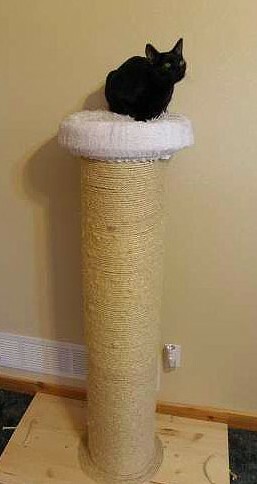 This is a pretty easy DIY scratching post for your kitties. It’s a little unusual because the column has a wider diameter than most posts. This is not accidental —the creator of the tutorial noticed her cats preferred scratching on things wider than their shoulders. The post is also extra tall so kitties have lots of room to stretch and it’s weighted with plaster inside so it’s quite stable. It’s all topped off with a padded perch at the top. 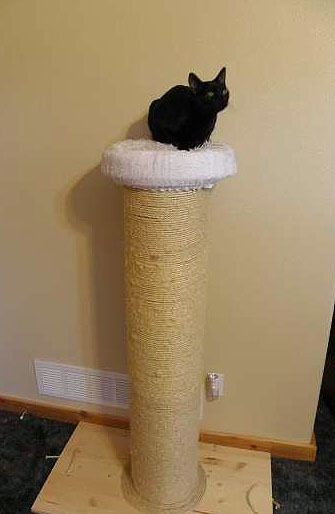 Don’t miss these other DIY cat trees and scratching posts.